Ackley Bridge is a British 60 minute scripted drama television series, which kicked off on June 7, 2017, on Channel 4 and is broadcast every Tuesday at 20:00. The show is currently in its 2nd season. Channel 4 has officially confirmed the renewal of Ackley Bridge for Season 3. The exact release date is yet to be announced so far. Sign up to track it down. Ackley Bridge is a Yorkshire mill town, home to largely divided white and Asian populations. Like the communities, the school systems have also become segregated. 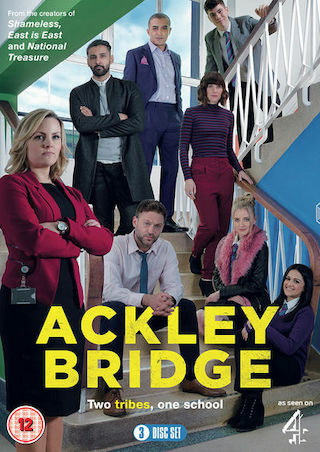 However as two formerly isolated comprehensives are merged into a brand new academy, Ackley Bridge College, the lives and cultures of each are set to collide. Lessons are about to be learnt in and out of the classroom, even if education isn't the first thing on the agenda.